Ok, so…I’ve been wearing my hair out in a big fro the last few days, for events and such. And a big fro means plenty of knots and tangles that I never look forward to detangling! So I decided to give Curl Junkie Curl Rehab Moisturizing Hair Treatment (Gardenia-Coconut scent) a another try, because the first time around wasn’t enough for me to fairly rate it. I wet my hair and applied this leave-in treatment before I shampooed. I left it on with my gel heating cap for 30 minutes. 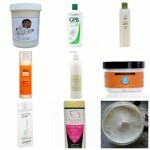 This leave-in treatment softened and detangled the mess out of my hair! It made it so much easier to finger and comb detangle through all those horrid knots! I proceeded to shampoo and condition as usual, and added my leave-in conditioner and sealed. My hair dried so soft and very well moisturized! I’m impressed! This treatment is a nice deep conditioner to add to my regimen since I like to switch up with products, but I’m not too fond of the price, especially for the size. 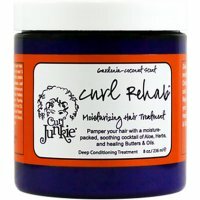 You can purchase Curl Junkie Curl Rehab Moisturizing Hair Treatment and read other reviews by clicking on the link :). Water, Aloe Barbadensis Leaf Juice, Cetearyl Alcohol, Butyrospermum Parkii (Shea Butter) Fruit, Behentrimonium Methosulfate, Equisetum Arvense (Horsetail) Leaf Extract, Urtica Dioica (Nettle) Leaf Extract, Melissa Officinalis (Melissa) Leaf Extract, Mentha Piperita (Pepperment) Leaf Extract, Yucca Leaf Extract, Rosa Mosqueta (Rosehip) Fruit Oil, Simmondsia Chinensis (Jojoba) Seed Oil, Theobroma Cacao (Cocoa) Seed Butter, Theobroma Grandiflorum (Cupuaçu) Seed Butter, Phenoxyethanol, Caprylyl Glycol, Vanilla Planifolia oil, Cananga Odorata oil, Lecithin, Fragrance, Citric Acid. miss nikisha, you really know how to bring out the product junkie in me! lol~ right now i’m waiting for my olive you to arrive! i guess i’m adding a curl rehab to my wish list! Lol…@c051b31139695f0f2c3902160f5da61c:disqus :). Try the Olive You first, and then when you finish that ,try this one. That will help curb some of the pj’ism!!!! Muah! This one is the excellent cream for the finest hair. It is the light hold conditioner. You will get good soft hairs with this hair treatment. I agree with you. I love this product but it is expensive. 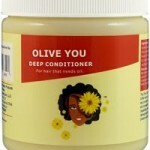 However you can purchase this (among other products) at aveyou.com. They often have discounts and have had groupons in the past, and their shipping is reasonable. Ooh… thank you@google-d5a0921a3161e6cb321412301bc102d6:disqus for sharing that info! I must try that site asap! Aveyou.com as well and they give you 10% of your next purchase. Love that website. Too expensive, I used it mom used it neither of us had anything negative or positive to say about it, just left no impression good or bad, not worth the money in our book.